Tank is a Jersey x Titan kid. He was pick of the litter and has started maturing into a beautiful boy. Tank has completed his Conformation Title and his Rally Novice title. Tank also enjoys hanging out with his dad, and working the ponds of ducks so we will see how he does this year hunting! He is a happy go-lucky boy who will do anything to please us. Tank has a lovely head, nice Front, beautiful top line and he has great movement. Tank has moved into a home with a family to enjoy being a pet dog! He lives in the Beautiful Edmonton area just steps from some of the nicest walking trails! Tank is Available for Stud service to approved females. May 31st, 2013 -->Tank qualified for his first leg in Rally Novice at the tender age of 6 months 1 week!!! He did Wonderful I was so proud!! October 26th, 2013 --> Tank goes Winner's Dog for his first point! 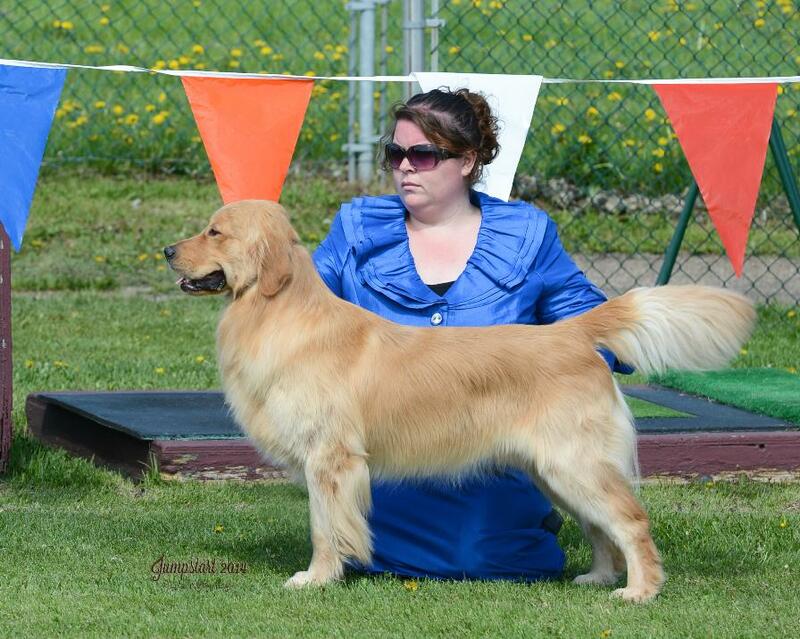 January 19th, 2014 --> Tank goes Winner's Dog and Best of Winner's over 17other dogs for a 5 point win! He is over half way to his Championship I could not be more proud!! February 15th, 2014 --> Tank goes Best Of Winners for 2 points in Brandon bring his Total to 8! February 16th, 2014 --> Tank goes Best Of Winners for another 3 points in Brandon to finish his Canadian Championship!! At the age of 1 year and 3 Months!! May 30th, 2014 --> Tank picks up his second leg in Rally Novice. May 31st, 2014 --> Tank picked up his final leg in Rally Novice making him "Can Ch. Canza's First Responder RN"